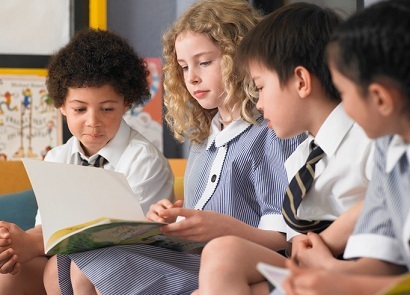 Do school uniforms improve student achievement and behaviour? School uniform advocates argue that students pay more attention in the classroom, and be better behaved if they aren’t distracted with fashion. School administrators say uniforms help eliminate gang-related styles and logos. They also make it easier to spot a stranger on campus. However, many parents and students don’t like the idea of forcing children to dress alike, which they say suppresses freedom of expression. School uniforms can also present legal issues for schools, as pointed out in one Australian report. While some studies show school uniforms leading to a reduction in the incidence of misbehavior, others show an increase in student suspensions. A few others show no significant change in student misbehavior. Todd DeMitchell, professor of education and Justice Studies at the University of New Hampshire, points to a 2010 study undertaken in a large school district in the US southwest as one example. “The study found that asking students to wear uniforms did not result in any change in the number of suspensions for elementary school students,” DeMitchell said. A study by Chris Baumann, from the Department of Marketing and Management at Macquarie University in Sydney and Seoul National University (SNU) in South Korea, sheds some more light on the pros and cons of school uniforms. Its researchers demonstrated clear differences in school discipline across five geographic clusters, with East Asia and the rest of Asia leading the way. For four discipline components of students listing well, noise levels, teaching waiting time and class start time, East Asia ranked first, followed by the rest of Asia. “To sum up our findings and hypotheses testing, 13 hypotheses were supported with only two not supported,” Baumann said. For education policy, the study points towards the importance of establishing and maintaining high levels of discipline due to the now demonstrated effects discipline has on academic performance. “Our study also suggests that having students wear a school uniform is an integral part of school discipline, and again, that in turn ‘drives’ academic performance,” Baumann said. Do we really need school uniforms?